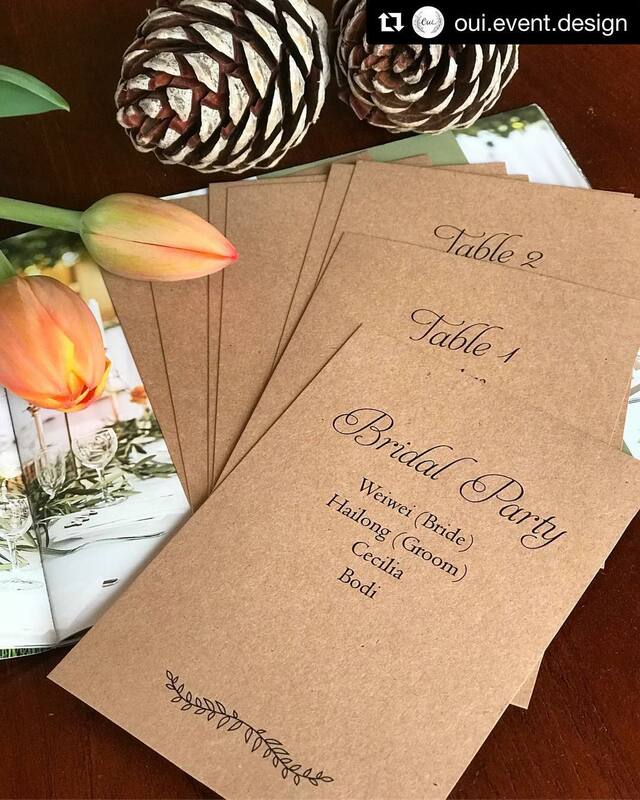 These gorgeous, rustic style seating plans feature a pretty little border of leaves on brown Kraft card. 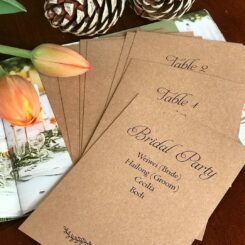 Each piece of card will have a different table name and set of guests on it. Please view other listings in the shop for large format seating plans (with all guests listed on the one board). Scroll down for a full list of what’s included. 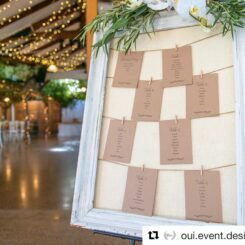 If you need your seating plan urgently, we can submit it as a rush order. Please note the timeframe quoted does not include shipping (overnight within NZ). 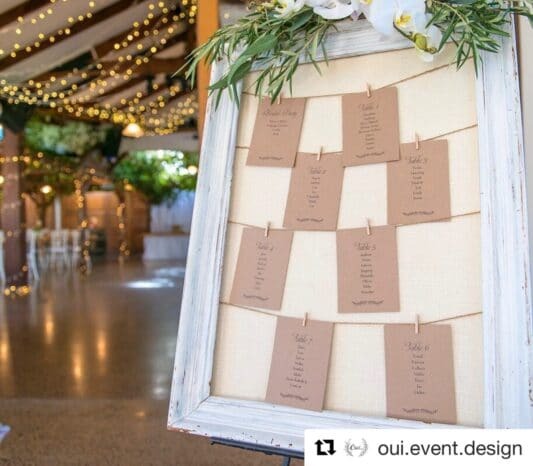 As with all Be My Guest wedding stationery, all colours can be modified to suit your wedding’s unique style. The minimum quantity available to order is 8 pieces. If you need more than 25 pieces, a different size, or have any other special requirements, please get in touch for a personalised quote. An electronic draft mockup of your seating plans before they go to print – so you can see how everything looks and request any changes. Up to two rounds of revisions are included.